Despite the growing body of literature on the Bottom of the Pyramid (BoP), much remains unclear and more research is needed in a number of areas as this chapter will highlight. Firstly, the broad literature is reviewed which includes looking at definitions and different strands of research undertaken in the field. The chapter then presents three key sectors that the authors believe have the most potential to aid poverty alleviation, while proposing that other types of studies can be conducted for other sectors that are more likely to lead to consumer satisfaction. Points of departure are offered, before discussing microfinance and then latterly in the context of Latin America. The chapter uses secondary data to show key countries and institutions serving the BoP, and to highlight important aspects that merit further attention. Implications for policy makers and practitioners are offered, and this is followed by a number of directions for future research. The Peruvian economist Hernando de Soto (2000) calculated that up to half of the total economic activity undertaken in emerging markets takes place outside the formal economy. The scholar further states that the total unregistered assets among the world’s poor accounts for US$9 trillion, a point acknowledged by Prahalad (2010). London and Hart (2004) have consequently suggested that within such an informal context, governments and firms should primarily build relationships based on social, rather than legal contracts. 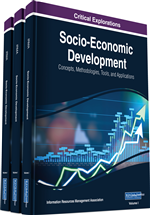 The work of these scholars has set the foundations and contributed significantly to research on how firms in emerging economies should look in a constructive manner at the people living at the bottom of the socio-economic pyramid. There are different ways to define the bottom of the pyramid, and initially Prahalad and Hart (2002) in their seminal paper outlined the BoP as people living with an annual income of less than US$1,500 measured on purchasing power parity (PPP) basis. However, much debate has centred on this PPP threshold and this is due to the lack of rigour. The World Bank and other scholars use different thresholds and so there is clearly a lack of consistency, which is neatly pointed out by Karnani (2007). The World Resource Institute (WRI) and its partners have proposed a new definition and this threshold is based on an annual income of US$ 3,000 PPP in 2002 U.S. dollars, which is $3,260 when adjusted to 2005 U.S. dollars (London, 2007). According to the WRI threshold, the total amount of people living at the BoP across Africa, Asia, Eastern Europe, Latin America and the Caribbean accounts for nearly 4 billion people (Hammond, Kramer, Katz, Tran, & Walker, 2007).